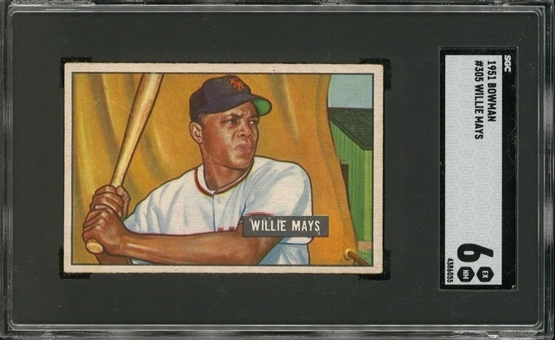 Lot Detail - 1951 Bowman Near Set (323/324) Including SGC EX-MT 6 Willie Mays Example! 1951 Bowman Near Set (323/324) Including SGC EX-MT 6 Willie Mays Example! 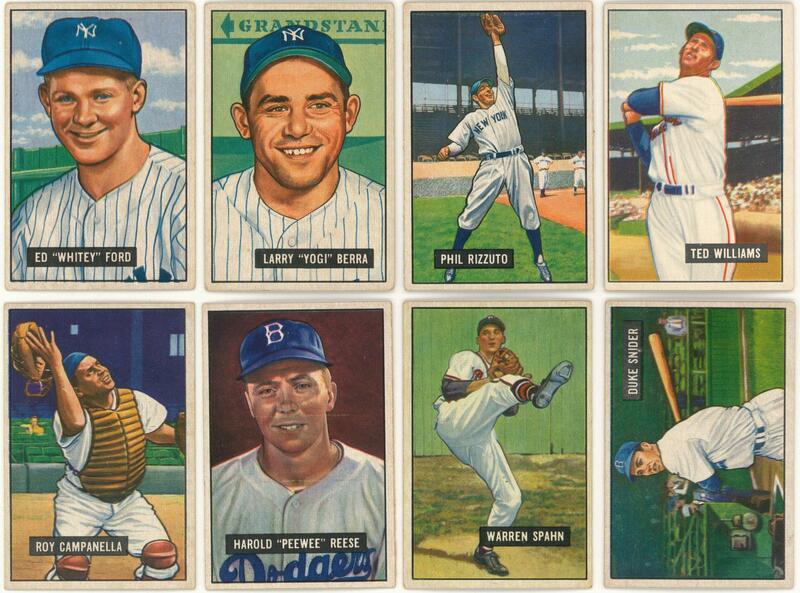 Offered is a 323-card near set (missing Mantle for completion) of 1951 Bowman baseball cards. 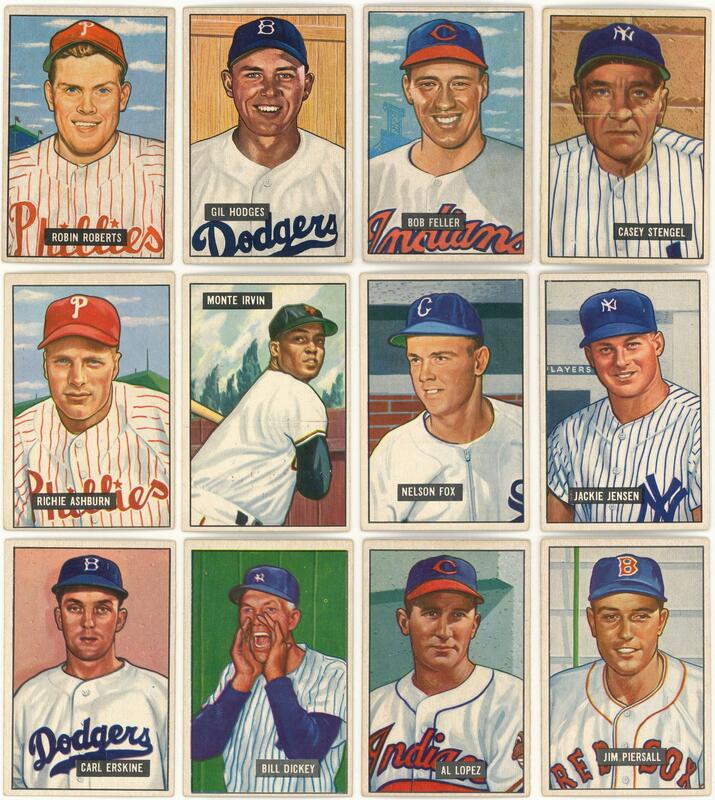 Bowman's last year of generally unchallenged dominance in the baseball card market was notable for this brightly nostalgic issue. The '51 Bowmans boast a clean, uncluttered design with hand-painted images presented in the once-customary small card size. 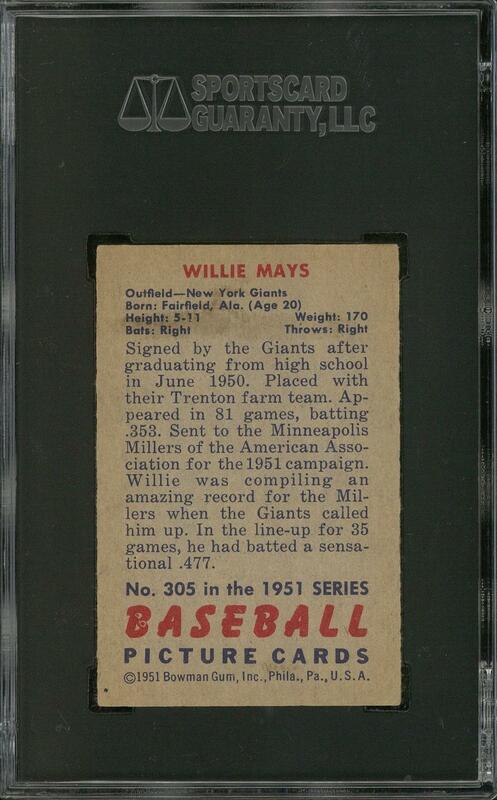 One card has been graded by SGC. 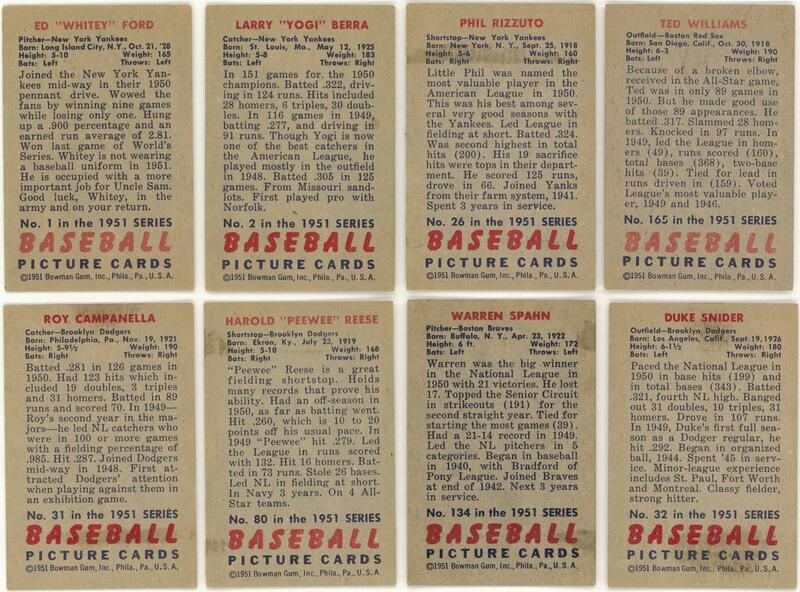 Highlights of the mid-grade near set include: #'s 1 Ford (EX-), 2 Berra (EX-), 3 Roberts (EX-), 7 Hodges (EX/MT), 26 Rizzuto (VG/EX), 30 Feller (GD, erased pencil), 31 Campanella (EX/MT), 32 Snider (EX/MT), 80 Reese (EX/MT), 134 Spahn (EX), 165 Williams (EX), 181 Stengel (EX), 186 Ashburn (EX), 198 Irvin (EX-), 232 Fox (EX), 254 Jensen (EX), 260 Erskine (EX/MT), 290 Dickey (EX), 295 Lopez (VG/EX), 305 Mays (SGC EX-NM 6), 306 Piersall (EX-) and 324 Pramesa (GD). 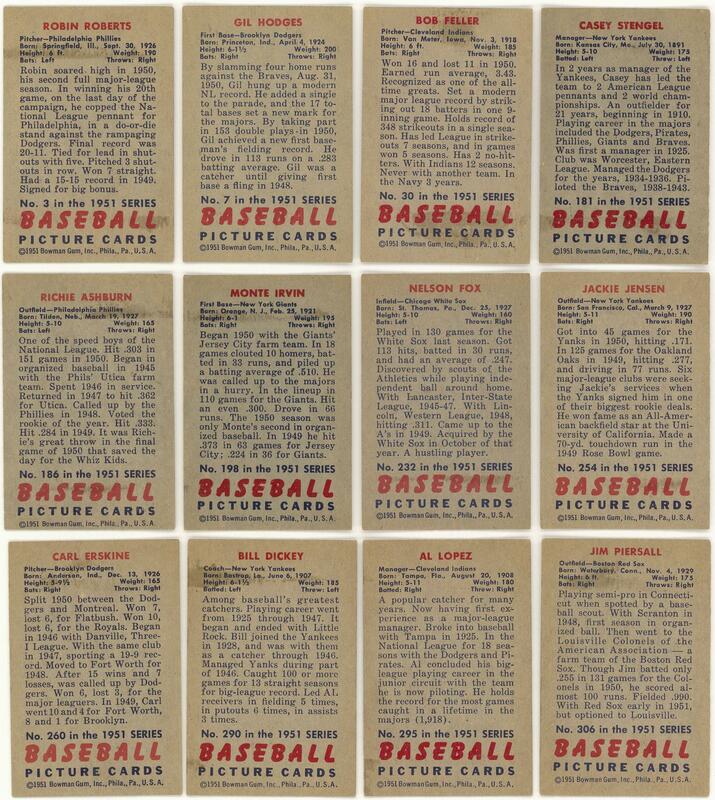 Grades 60% EX to EX/MT (handful slightly nicer), 31% VG to VG/EX, 9% lesser (mostly due to erased pencil on the reverse).